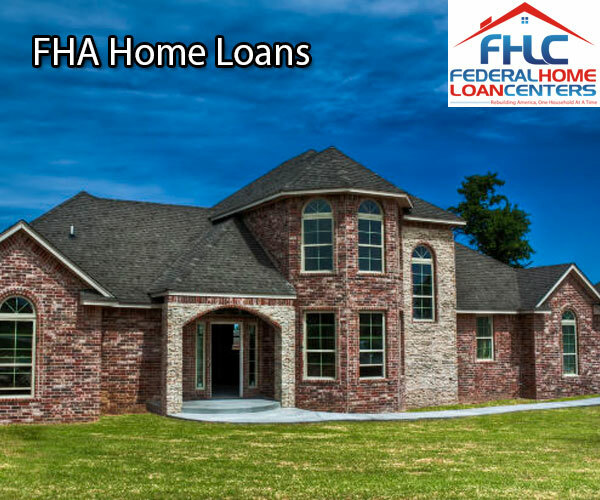 The FHA home loan from the Federal Housing Administration is one of the most readily available federal home loans in America. Civilians living anywhere in the country have access to the program, versus having to be military affiliated for the VA home loan, or being in a rural (sometimes suburban) community for the USDA home loan. 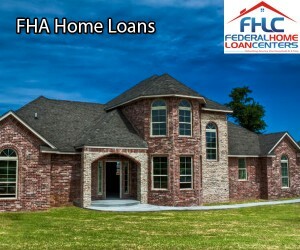 The FHA home loan boasts a down payment as low as 3.5 percent and can be provided as a gift from another party. The seller can also pay your closing costs of up to 6% with an FHA loan. Another great benefit of the FHA home loan is the ability to access the 203k loan, which allows you to get a loan for more than the home is worth in order to fund repairs. You can read our piece further expanding on the 203k by clicking here. Aside from this information, you may be surprised to learn that you can qualify for the FHA home loan, even if your financial past is blemished. Bankruptcy? Foreclosure? Poor credit score? You will be pleased to know you may still be eligible to receive this home loan. WHY WILL LENDERS HELP THOSE WITH MURKY FINANCIAL PASTS? People make mistakes, or they have circumstances that negatively impact their lives. Deaths in the family, loss of a job, or disasters, which is identified as an event that overwhelms your existing resources, may prevent people from being able to make loan payments. Giving people second chances after they suffer from incidents like bankruptcy, foreclosure, and short sales has many benefits for the economy. People are able to obtain better paying jobs or make better financial decisions, and this new revenue will help local communities. Also, many people who try again for home loans after experiencing these events may have families that need a house. Not every family can fit into an apartment, and many people want the security and independence of homeownership – not the insecurities of rent increases and the possibilities of lease renewals being denied. Many apartments also have waiting lists, don’t allow pets, or are senior communities that don’t allow children. Sometimes, circumstances we can’t control, or just plain financial irresponsibility, lead us to seek out bankruptcy. If we can bounce back from this life event and improve our finances, having this on your credit score is not an economic death sentence. If you have a Chapter 7 Bankruptcy, you had any assets sold off, AKA liquidated, to pay off debts and keep creditors at bay. Individuals with credit and health care debts are eligible to take part in this, but not to be used for student loans, spousal or child support, or specific taxes. Chapter 13 Bankruptcy is a type of payment plan to debtors, where debts are lumped up into a round figure. This option is desirable, since certain property can still be owned by the debt holder, a steady stream of income is required and the repayment typically stretches out from three to five years. Still in the Chapter 13 repayment process? Within 12 months of the filing, as long as on-time payments have taken place over the past 12 months, you will be eligible. A Chapter 7 filing will requires 24 months, only if the debt has been fully cleared and you have been working to revamp your credit history. There are certain underwriting guidelines when you are within a Chapter 13 or done with your Chapter 7 bankruptcy. You must have stable employment for the past two years, and have re-established credit. Foreclosures and short sales are a very sad time in anyone’s life. It’s a blow to the ego when you realize you can’t make monthly mortgage payments. While it inevitably takes time to recover financially and mentally from this process, both foreclosures and short sales are not the end of the world. Thankfully, there is no limit to how many times you can use the FHA home loan program. After three years following a short sale, you will be able to try for the FHA home loan. A short sale will negatively influence your credit score, but if you can get your credit score up to 580, a mortgage broker or lender should be able to work with you. (Our credit score requirement is a minimum of 580 for FHA loans) Originators may also realize that conducting a short sale showed you made an effort to prevent the prior lender from taking a loss, rather than defaulting and causing a foreclosure. If you’ve had a foreclosure, the waiting period is three years. The Back to Work –Extenuating Circumstances program from the FHA is specifically tailored to shorten waiting times after a bankruptcy, short sale, or foreclosure (including a deed in lieu). A year may be the minimum wait time for you if you qualify for this program. Proving a financial hardship, a refurbished credit history, and proof of completing Pre-Purchase Housing Counseling from a HUD-approved source will be needed to qualify. The financial hardship must have dramatically dropped your household revenue by 20 percent for a minimum of six months. After a year of on-time payments toward debts and meeting all of the above qualifications, your lender will then make the determination if you can apply for the Back to Work program. There is also the factor of having access to Springboard, which is a nonprofit consumer credit management. They will help you with such items as getting you an expedited housing counseling request and a personally tailored plan to get you back on your feet financially.